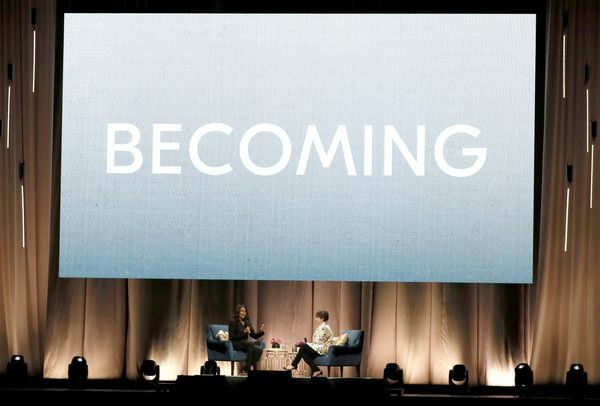 Forever FLOTUS Michelle Obama is still jetting across the nation on her book tour for her newly released memoir, "Becoming." 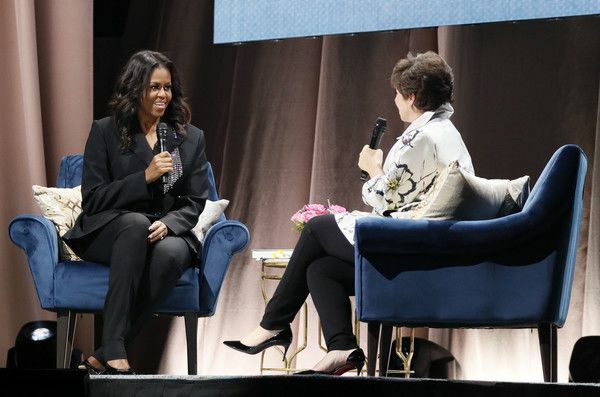 Yesterday, Mrs. Obama rolled into Washington, D.C. to discuss her new book with moderator/former White House adviser Valerie Jarrett at the Capital One Arena. 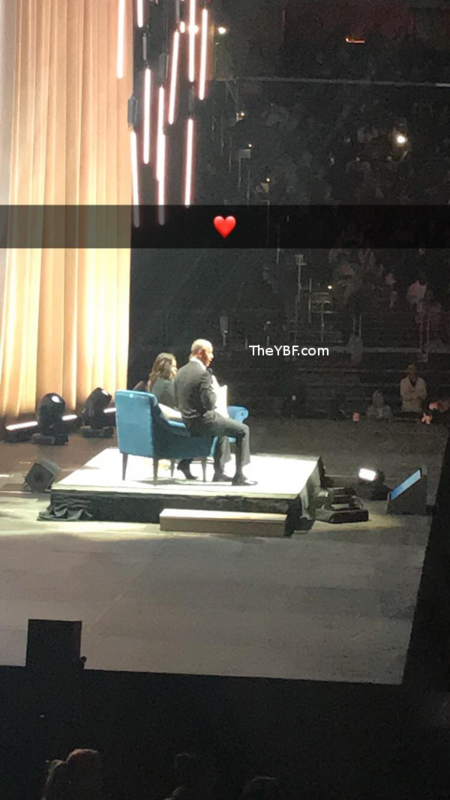 President Barack Obama made a surprise appearance and TheYBF.com was on the scene. He walked out on stage with a bouqet of flowers as the arena erupted with cheers. As he appeared on stage, someone yelled out, "we miss you!" We sure do! Once he hit the stage, POTUS compared himself to Jay Z popping up at a Beyonce concert. "This is like... you know when Jay-Z comes out during the Beyonce concert? Like, Crazy in Love?" he said. "It's the same thing. It's just a little sample to enhance the concert." In the book, Michelle details how she and Barack first met. 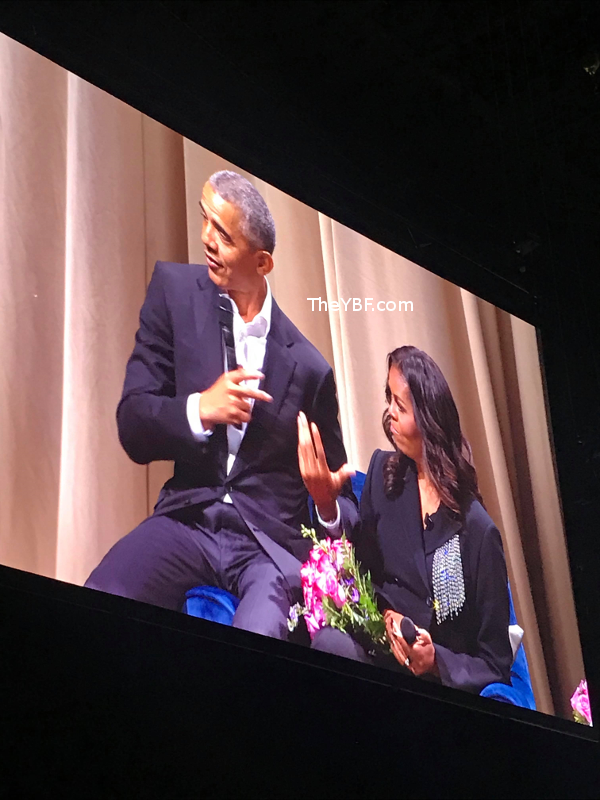 During the discussion, Barack had the chance to tell his side of their love story. 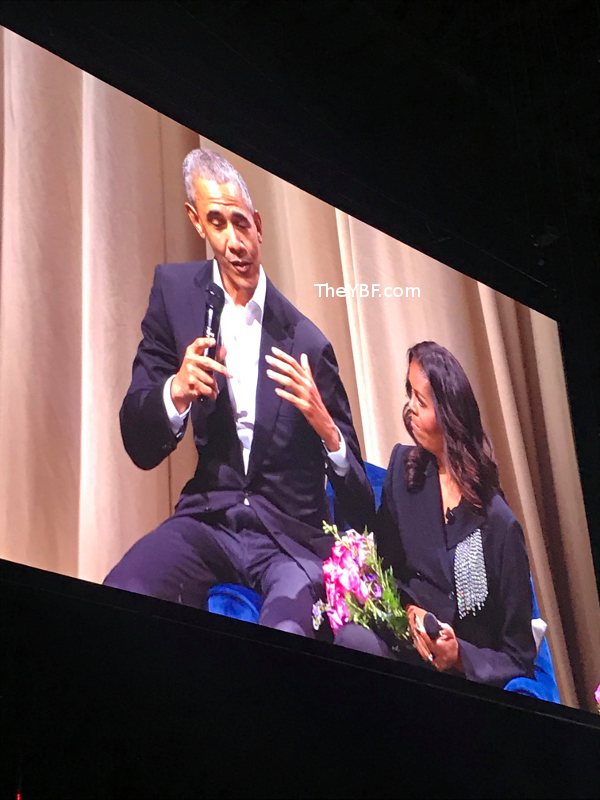 He talked about how she was likely not so impressed when she saw the first photo of him after her firm assigned her to mentor a summer associate named Barack Obama. She thought he was going to be a dude with a pocket protector based on his name and credentials. However, she said he had flavor and swag. By them being the only two black lawyers in the firm, Michelle felt they couldn't date, but Barack didn't care. Barack even mentioned he would quit the summer program to date her. That's how serious he was about having her in his life. Barack said he knew Michelle would challenge him and he knew that's what he needed in his life. He said he knew if marriage was going to work, it couldn't "just be one sided." PREACH. "I wanted somebody there who would call me when I was wrong and would push me if I was falling shorts. And boy, did she do that! [laughs]," he said. During their time in the White House, Michelle set their dinner time at 6:30pm. It was up to Barack to be there to have dinner with his family. Valerie Jarrett said she would start getting antsy close to that time because she knew he needed to take that quick walk home for dinner. 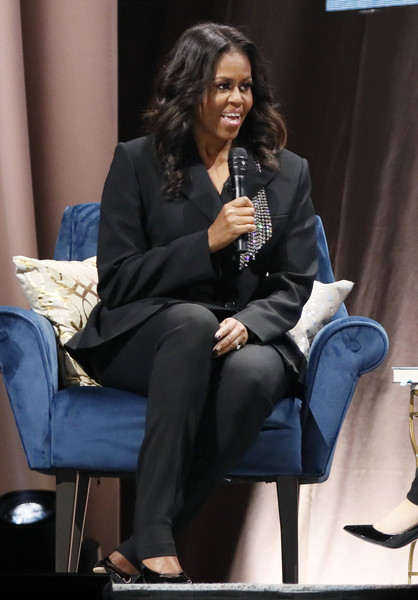 Michelle said she didn't want her girls, Malia and Sasha Obama, to think life couldn't go on until a man comes, so she would start dinner whethere he was there or not. Yasssss! However, most times, POTUS was there. Aww! 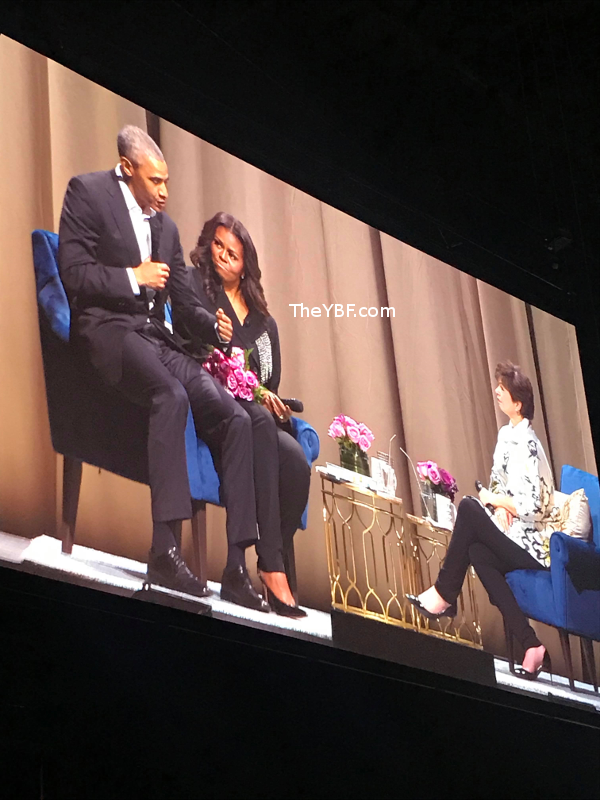 Michelle shared there were times she wanted Barack to just curse people out for some of the things they were saying, but she realized the President is the President of the whole country, not just his ego. Even after leaving the White House, The Obamas have been super busy. She said she finally got the chance to sit down with Barack just the other night to reflect on everything they did and accomplished during their 8 years in the White House. Michelle Obama's next stop will be in Boston, MA at the TD Garden on November 24th.